Isn't he just so darn cute? Don't you just wanna snuggle him up and keep him safe? Well, either way, he's my newest creation, a little pattern available on Ravelry for a fiddly dollar. 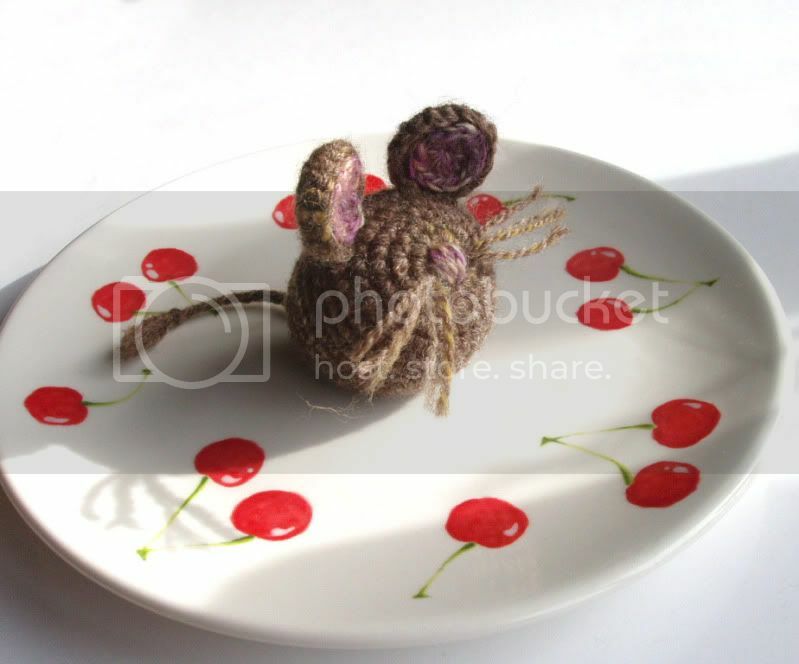 I made this one out of some lovely roving, given to me a few months ago by E, who is now getting it back, in the shape of this little, bitty mouse. I know he'll find a good home with her, and will probably end up all snuggled up in her stash. Mums are some of the best people around. I know mine is. I'm sure yours is, too. As a species, Mums are more selfless, loving, infinitely strong and huggable than any other. Sometimes, they can even seem like saints, so it's only fitting that they get a day all of their own. My little gft to Mums today is to have an impromptu competition. If you'd like a chance to win all of the patterns I have for sale on my website, for your Mum, or you (if you are a Mum), or your Dad (if he crochets), or your sister, brother, cat... just leave me a comment below. After 24 hours, I'll pick a winner out of a hat, and announce it here. This is my spinning from Sunday Spin-In in the Powerscourt Centre, (you my have guessed...) last Sunday. It's Dublin Dye Company, woolen roving. It was smooth, super easy to spin up and has come out super-warm and airy. I'm very pleased! 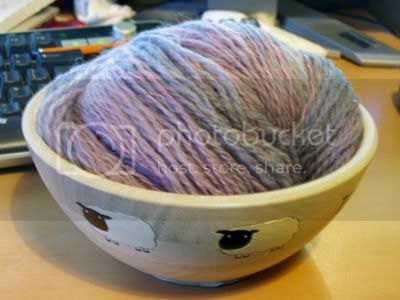 I got about 250 yards out of it, 4-ply/DK weight. Suggestions welcome (crochet or knit...) for what it should grow up to be. When working a band of either front- or back-loop stitches, make sure you work both loops into the last stitch on every row. This won't effect your ribbing all that much, but it will strengthen your edge considerably. 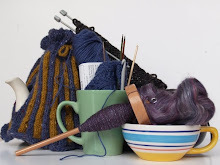 I just got a bit of lovely, kinda secret crochet-related news. Feeling chuffed with myself, I told the boyfriend. "Oh, you're becoming a bit of a celebrity" he said with a bit of a grin. "Hah, like a super-minor one, if anything" I reply, with tasteful humility. Nothing like a boyfriend to keep your feet on the ground!